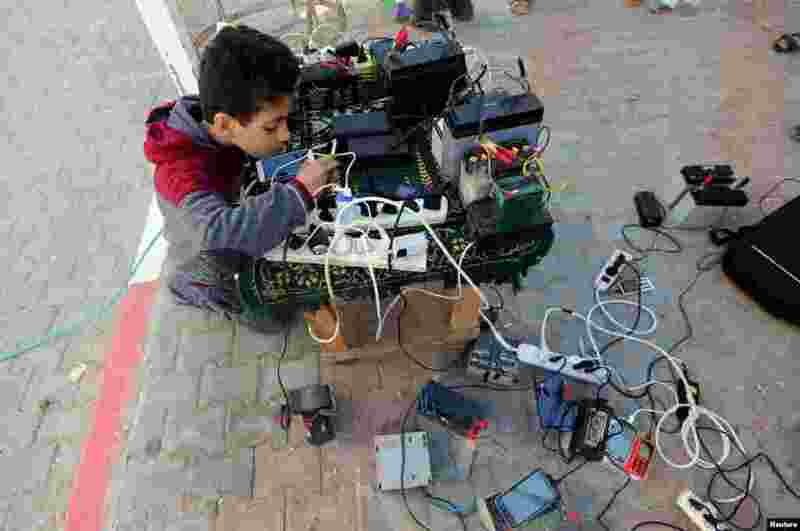 ٦ A Palestinian boy charges a mobile phone in his neighborhood which experiences power shortages, in Johr El-Deek in Gaza. 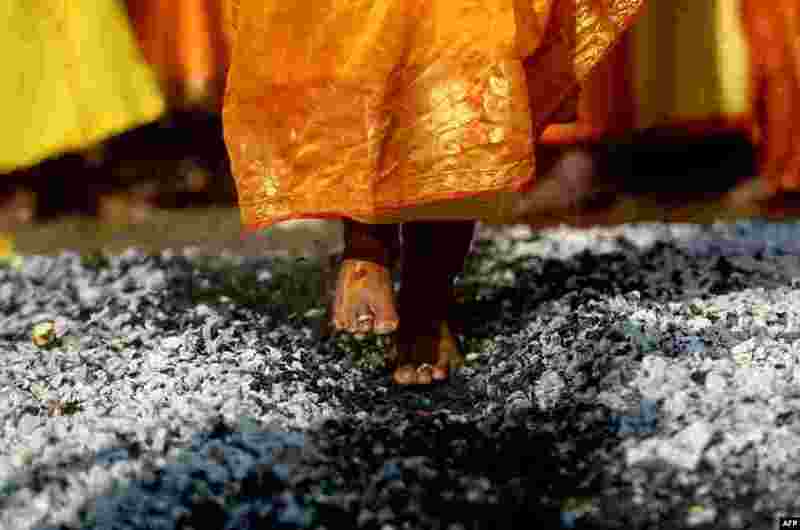 ٧ A Hindu devotee walks over burning coals during the Thaipoosam festival in Chennai, India. 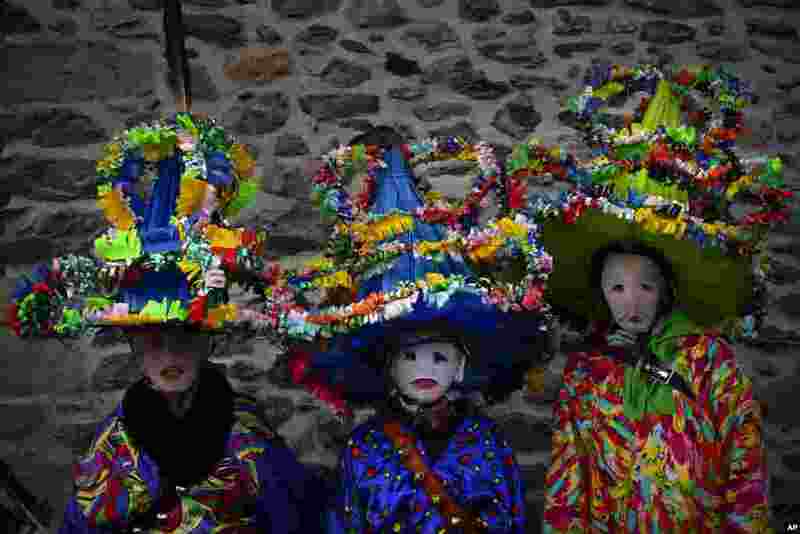 ٨ A group of participants dressed in traditional clothes and wearing large hats decorated with ribbons and feathers, known as ''Ttutturo'', take part in the Carnival of the Pyrenees villages of Leitza, northern Spain, Jan. 30, 2018. ٩ Nepalese Hindu devotees roll on the ground on the banks of Hanumante River on the last day of Madhav Narayan festival in Bhaktapur.